Jump photos. If you haven’t done one, you should try it. You have to intuit the right moment for a jump, as it’s unlikely to turn out if forced. 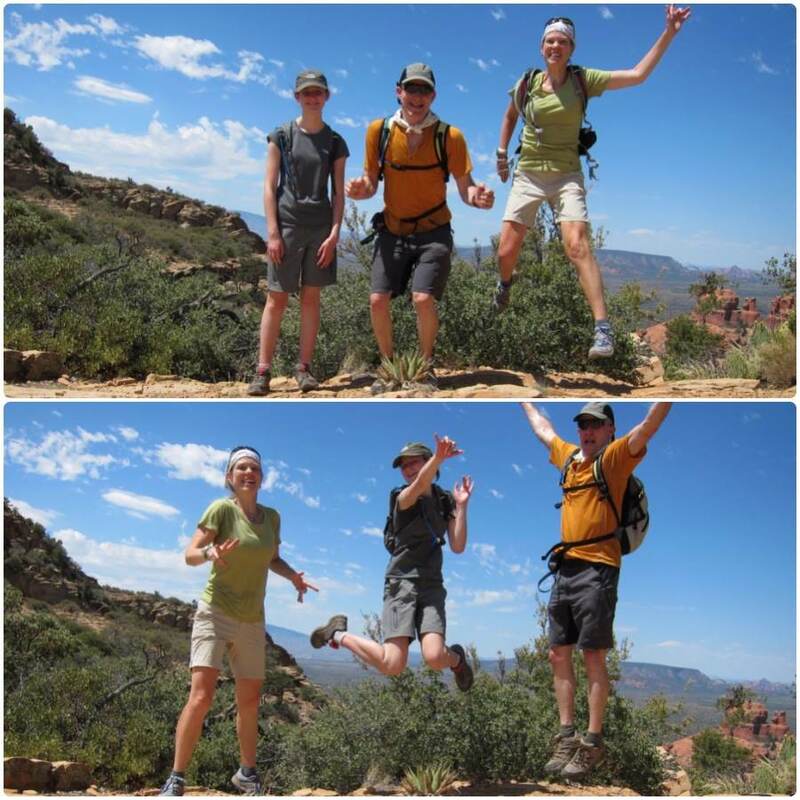 Sometimes a jump photo was just what we needed during our Sedona hikes this week (longer wrap-up post about that on deck) because it took us away from a tough moment on the trail and reminded us we were on vacation. It took a few shots to capture us all airborne, but eventually we got there. This photo was taken as we reached our turnaround point on Bear Mountain. We hiked our way up a steep stairstep climb until we began the ups and downs of the final mile to the ridge that would lead us to our final lookout. It was getting hot and the hiking was losing some of its fun factor. We took a break to eat a snack and cool down. Good humor returned at the realization that a fast descent was in our near future. Before heading down, though, we took a moment to jump. 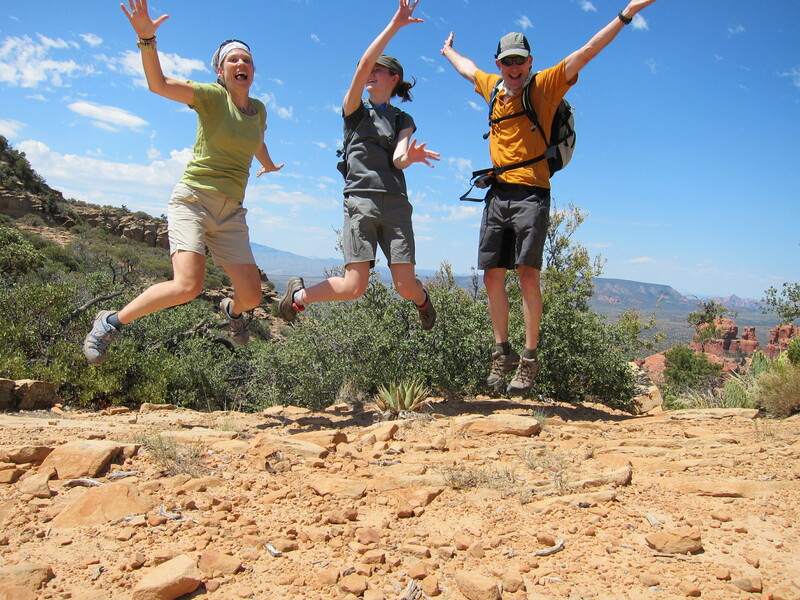 A good jump brings me back to the carefree joy of being healthy and alive. And three people simultaneously leaping and sharing that feeling makes it even better. So like I said, if you haven’t tried it you should set the camera’s auto-timer and go for it. I had the same theme on mine-a bit different kind of jump. Nicely done! You are so right. It always looks like such fun.